This is very good, the flavor isn't overpowering,and my husband loves it! I made one loaf to keep and gave the other away. I will make this again for sure! 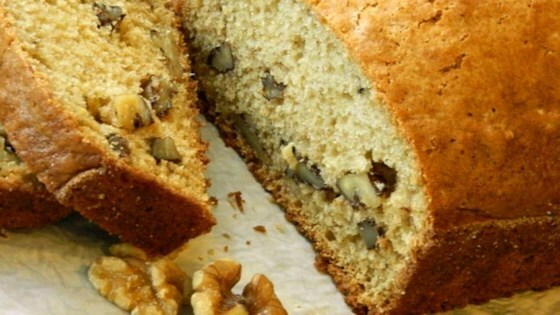 My family really enjoyed this nut bread. The recipe will go in my keep box and be made over and over. It is great to make for gifts also. Thank you for sharing. It tastes great. I had no problems with prep or the quality of the bread, it was just very bland. I guess I'm used to quick breads with more ingredients (fruit, chocolate, etc.) in them.